When Dylan was a few weeks old he suffered severe acne. For approximately two weeks he resembled a teenager and I was elated when his skin cleared up and returned to its normal baby soft state. Unfortunately, over the past week Dylan's face has again become red and irritated. Only this time it didn't appear to be acne. 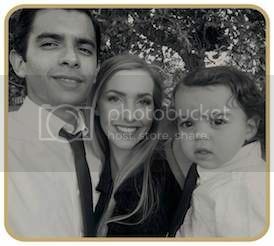 Acting as concerned parents, we called his doctor and emailed a picture of his fatty cheek which upon review turned out to be a classic case of eczema. NOOOO!!!! Though eczema isn't the end of the world, it isn't ideal either. Dylan is extremely sensitive and nearly any type of lotion/moisturizer/soap I use on him has a bad reaction, so I cant say I'm surprised by this diagnosis. But thank god for Penaten cream! 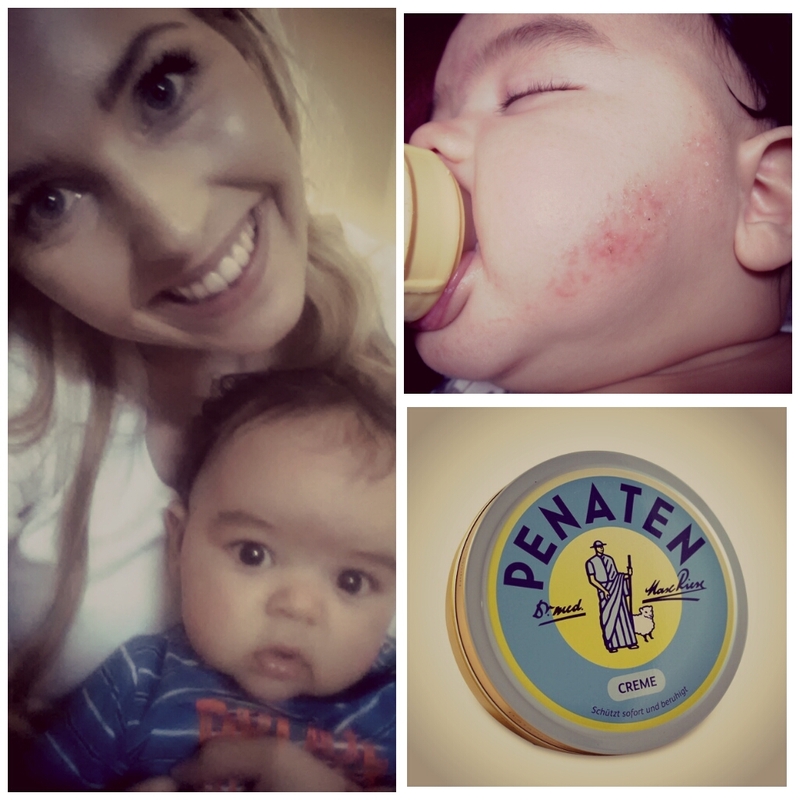 Penaten cream is a German product that acts as a miracle worker. You burnt yourself? Penaten cream. You have a rash? Penaten cream. OMG A SUNBURN? Penaten cream! You're hungry? Penaten cream. (Just kidding). It's thick, it's white, it smears, but if you wear it to bed you're going to look better when you wake up. And though there's no cure for eczema- I'm just happy Dylan isn't bothered by his skin's condition. He is the toughest sensitive baby, ever.